We connect with people everyday around the world through websites, blogs, and a myriad of social networks. But do we really connect while we're isolated in the Internet bubble? 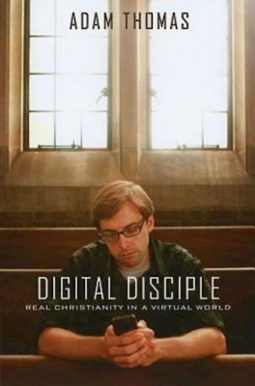 In Digital Disciple, millennial, blogger, and Episcopal priest Adam Thomas explores this contradiction between connection and isolation through the perspective of one who's always known a world with the Internet. The Reverend Adam Thomas was ordained to the Episcopal priesthood in 2008 at the age of 25, making him one of the first priests from the millennial generation. His unique voice in the faith community emanates from a combination of his youth, honesty, humor, and tech-savvy nature. A self-described nerd, Adam writes the blog wherethewind.com, belongs to the Christian Century Blogging Community and Day1.org.